It's almost October and naturally, my thoughts turn to vampires. A while back, many years now, I had a player who played a ranger (back in 2nd ed). This ranger was later killed and turned into a vampire by no less than Strahd von Zarovich himself. I thought that was the end of the character (the player had left school by then). Years later I brought the character in as an NPC vampire. I wanted a vampire that had a backstory and some history as a human first. At some point though near the end of my 3rd Edition game, I thought about bringing back this character as a recurring NPC. Then something interesting happened. I got in contact with the original player via the then new thing called Facebook and I changed my mind. I want to bring her back as a human now. This got me started on an idea for a MacGuffin to bring a vampire back to full life. We have seen things like this before in media. I know it happened on "Angel" and I am pretty sure it happened on "True Blood" and in other shows. The one thing though they have all had in common is that to make it happen requires something really, really special. Yes at this point someone will say "but what about 'Near Dark'?" well, I liked Near Dark, but that was the biggest problem I had with the movie. It turned vampirism into a blood disease, and not even a very powerful one. Plus don't you think if a blood transfusion could have fixed it then others would have done it already? Also at this point, someone might bring up the spells "Raise Dead" or "True Resurrection". We always ruled that these spells would kill any undead creature. Clerics are known for two things in most editions of D&D; healing and turning undead. Both are power investitures by divine agents. So the ultimate expression of that power, the ability to bring the dead back to life, would follow the same logic and cause harm to the undead. Plus in my games, we house ruled that it could not bring the dead back from undeath. Vampirism is also a curse. For this spell, I knew I wanted it to be difficult. So only the highest level spellcasters could cast it. I wanted it to be the magical equivalent of brain surgery. So like surgery, it is not performed alone. I also knew I wanted "three" to be a part of it. Three is a magic number. Mind, Body, and Soul. Three types of magic; Arcane, Divine, and Occult/Witchcraft. And in many of my games three principal types of spellcasters. Also known as "The Glorious Ritual of Reunification of Life, Soul, and Body by means Divine, Arcane, and Occult", but more commonly known as "Reunification of Life". Ritual Requirements: At least 3 spellcasters; A witch, wizard, and cleric. This ritual is a rare one, not just in terms of its availability, but also in its nature. The ritual is known to be part of the Malificus Necrologium (aka "The Book of Dead Witches ('dead witch names')"). Included in the ritual are the invocations needed to be made a witch, the evocations needed by a wizard and the prayers required of the cleric. The ritual only details the means to restore a willing vampire to life, not an unwilling one. As part of the ritual, the vampire must not partake in blood for three days prior to the ritual. This begins during the last nights of the new moon. In many cases, this will make the vampire difficult to control. On the first night of the waxing crescent, the vampire must take a ritual bath in purified (but not sanctified) water. Preferably this is from a natural spring. If the water is warmed from the earth, this is better. On that night at Midnight, the ritual begins. 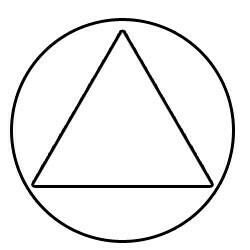 The vampire, wearing only a simple white linen robe lays on a simple wooden altar within a Thaumaturgic Triangle. 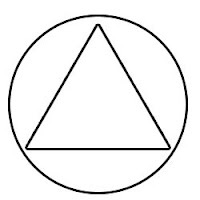 The points of the triangle face east, south and west in a deosil or sunwise orientation. The cleric must stand at the East and begin their prayer. The wizard must stand at the south and begin their casting. The witch stands at the west and begins her spell. During the course of the night (6 hours of constant casting) the casters will respectively summon up Air to represent the Soul, Fire to represent the Life, and Earth to represent the renewal of Body. During the night agents of evil will attempt to stop the ritual as the loss of a vampire is a great blow to the forces of the night. For this reason, the ritual also suggests an outer circle of non-casters (referred to as "Cowans") to keep the evil at bay so the casting can continue uninterrupted. If all goes well the spell end right before dawn as the light of a new day shines on the former vampire for the first time. Many witches have noted that the optimal time for this spell is during the Summer solstice. Alterations to ritual have been recorded. At least one attempt was made on a mummy, but the spell failed. It was speculated that this was due to lack of internal organs, or due to the different relationship, the mummy has with the negative material plane or even the age of the mummy. A spectre was successfully returned to life, but only after a Remove Curse had been cast on it. The spell has not been tried on a lich since no lich has volunteered to be returned to life of their own free will. In other cases, a druid was used instead of a cleric and a necromancer instead of a wizard. Both times met with success, though some sages doubt these are accurate claims. Most of these claims are difficult to ascertain due to most copies of this ritual are currently missing. This ritual should not be something that the PCs have easy access to. Nor should it be something they hear a rumor about and then pop over to a forgotten library to get. There should be an epic quest to retrive the book (or books! maybe it was split into three by the forces of evil). This needs to be epic quest, "season finale" stuff. This is fantastic, Tim! Then again if it's vampire or witch related, I always expect the best when you post. 40+ years of obsession should pay off sometimes. I've never seen Angel and I stopped watching True Blood after a couple-three seasons, but I remember the blood transfusion in Near Dark and thought it was a little anticlimactic. Of course, for a vampire film Near Dark (a favorite of mine) is the horror equivalent of "street level supers." I played Vampire the Masquerade for a number of years and I could never get players to buy-in to the whole "search for a cure" storyline. No one was interested in playing the chest-beating, bloody-teared character cursing and weeping over his/her fate. Instead, their interest in the game was either A) reveling in their powers and vampiric "badness" (anti-hero supers), or B) Machiavellian power struggles in the "World of Darkness." But I suppose D&D isn't VtM (duh), and I can see some vampiric PCs wanting to return to life...though wouldn't a Wish spell do the trick? I know that's a cheap way out (I like fancy-shmancy rituals myself), but it would seem that if you're going to research a 9th level MU spell to save your undead buddy, isn't Wish more "utilitarian" than this difficult ritual? Perhaps the exceptional complexity should allow the spell to be cast at a lower level of experience? In a way, it's just a super-up version of raise dead (5th) combined with remove curse (4th)...to me, that suggests a 7th level spell (or even 6th, given the specific nature and uncertain success chance of the ritual). Mmm...I could do a whole week of vampire posts; maybe that should be my October blog theme. This spell would be a great candidate for the invocation rules in the 3.5 Unearthed Arcana, or the occult ritual rules in Occult Adventures (Pathfinder) which are based on them. Add in some difficult requirements (casters of three different "traditions," rare and expensive components, etc.) and the risk of magical backfire if the spell fails, and you end up with a lot of fun strings to pull to make it a truly memorable challenge to complete the ritual.